Centene, the health insurer, said Wednesday that it planned to buy smaller rival WellCare in a deal valued at $17.3 billion. In the release announcing the deal, the two companies mentioned about $500 million in expected “synergies,” a term that may cause unease among employees. Watch Centene and WellCare trade in real-time. In a move highlighting the consolidation taking the healthcare industry by storm, the health insurer Centene said Wednesday that it planned to buy its rival WellCare in a deal valued at $17.3 billion. The companies expect the deal, which they hope will create a “leader” in government-sponsored healthcare, to close in the first half of 2020. But companies don’t just make deals to make deals, they do so to enhance shareholder value. The term “synergies” typically means efforts to cut costs when companies combine. Redundancies might be eliminated, or a workforce might shrink. In this case it could mean in pharmacy and other medical cost management, IT systems, and general and administrative expenses. 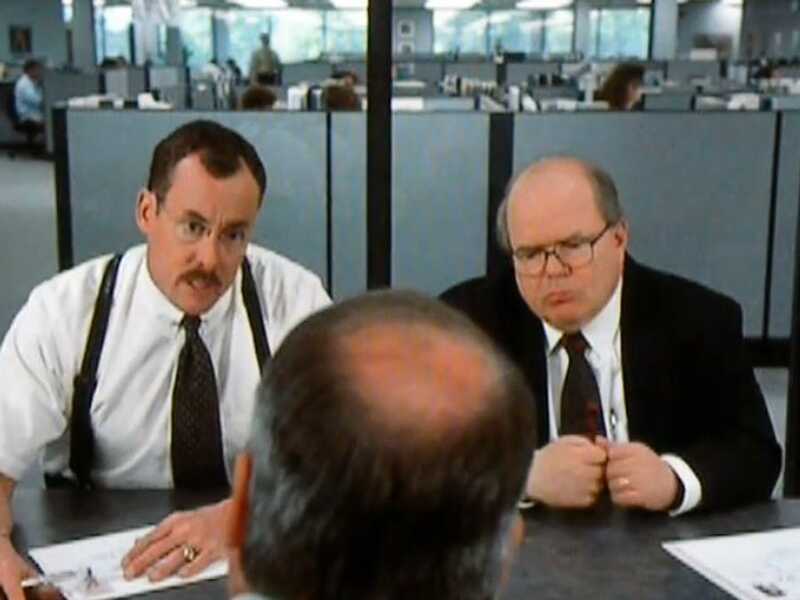 Unfortunately for employees, the word “synergies” often means jobs cuts are coming. Centene currently has 47,300 employees, while WellCare employs 12,000 associates nationwide. In a presentation to investors on Wednesday morning, Centene outlined some of its plans. 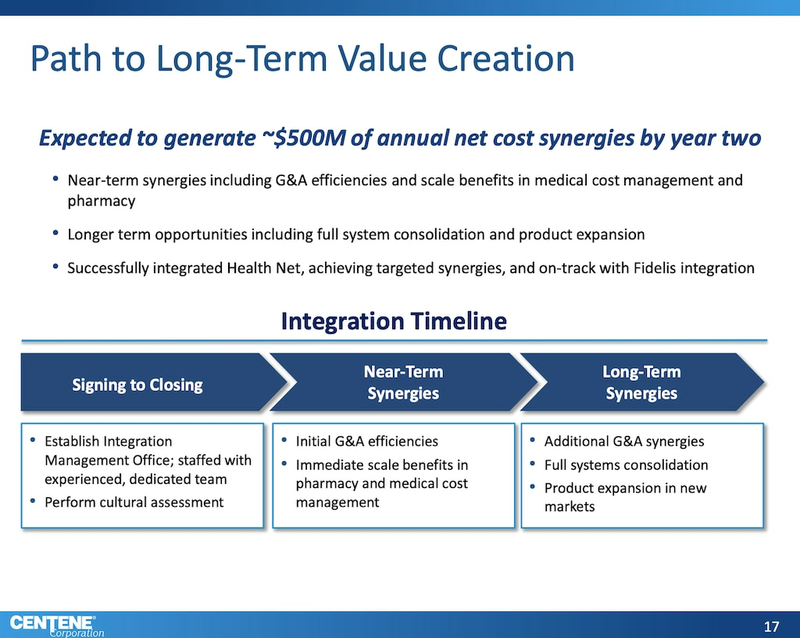 The health insurer pinpointed general and administrative “efficiencies” in the near-term, and systems consolidation and product expansion into new markets over the longer-term. The language isn’t uncommon; a handful of recent mega-deals have featured similar announcements. Bristol-Myers Squibb said in January the company expected to realize $2.5 billion in “synergies” by 2022 when it announced plans to buy the biotech Celgene. And in February, SunTrust Banks and BB&T said they planned to merge in a deal that would deliver $1.6 billion in annual net cost synergies by 2022. A representative for Centene did not immediately respond to a request for comment on whether headcount reductions were planned. An inspector general report reveals allegations of harassment.